A loan of $825 helped to buy and insure a dairy cow. Jane lives in the Eldoret area of Kenya, which is extremely fertile for agriculture. She has five children and has been doing agricultural work for 15 years. Her primary income sources are milk, crops, and transportation services. She will use the loan to buy and insure a dairy cow. She stated what is most enjoyable about farming is being her own boss and feeding the cows is her passion. Her biggest challenge is the high cost of inputs and animal feeds. Animals on the farm have been given the names of lelgina, cheptuigong, asyier, lelmet. In local language these mean white tummy, dark eyes, black and white one and the one with the white forehead, respectively. Jane chose Juhudi Kilimo for this loan after hearing about the program from existing members. This client learned about credit management during Juhudi's required micro-finance training session. Her highest monthly expense is school fees. As a result of the loan, Jane said her income will increase and she will be able to educate her children. As part of Juhudi's loan appraisal process, each borrower's assets are evaluated. Jane owns the following: cow, poultry, pump, bicycle, motorcycle but does not own pig, automobile. Juhudi Kilimo also tries to measure any change in living standards based on this loan. This borrower has in the household a mosquito net and running water but does not have electricity, solar power, sewing machine, TV, DVD. Note: To create this loan profile, Juhudi Kilimo used a mobile device to gather information in the field and send the data to a central online repository, thus reducing paper use, making the process more efficient, and keeping costs down. 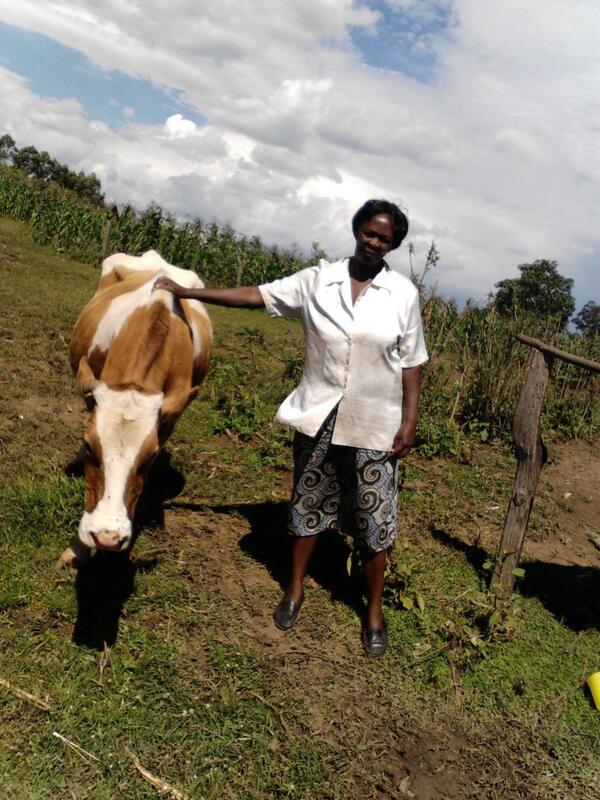 Juhudi Kilimo is a for-profit social enterprise working with small-holder farmers in Kenya to finance purchases of dairy cows, chickens, agricultural equipment, and other assets that create immediate cash flow. Many of the assets are insured to prevent devastating business losses, and targeted technical assistance is provided to farmers, from agricultural training to basic book keeping and local market research. Like Kiva, Juhudi is committed to alleviating poverty, promoting entrepreneurship and creating employment opportunities in rural Kenya. The organization provides financing to smallholder farmers and enterprises to help them obtain a variety of income-producing assets. Through these loans, Juhudi is helping to build business capacity, increase incomes of marginalized people, and increase services available in rural communities. Additionally, as part of its social mission, Juhudi is interested in reaching out to more women clients to help them establish businesses and become financially independent. Kiva is happy to help the organization expand its services in Kenya and reach more women borrowers.